Breaking News! : Sponsor this important event! 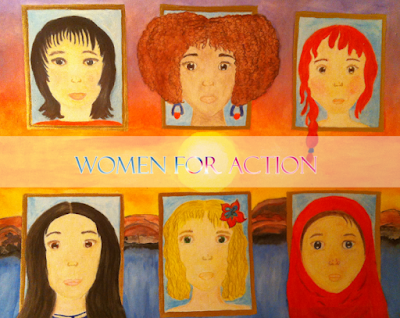 Women For Action, is a 501c3 organization which champions women and educate on the obstacles they face to bridge cultural differences. We interview women-firsts, award-winning subjects and other innovators, all who are making socially conscious contributions which aid in closing the gap between genders. 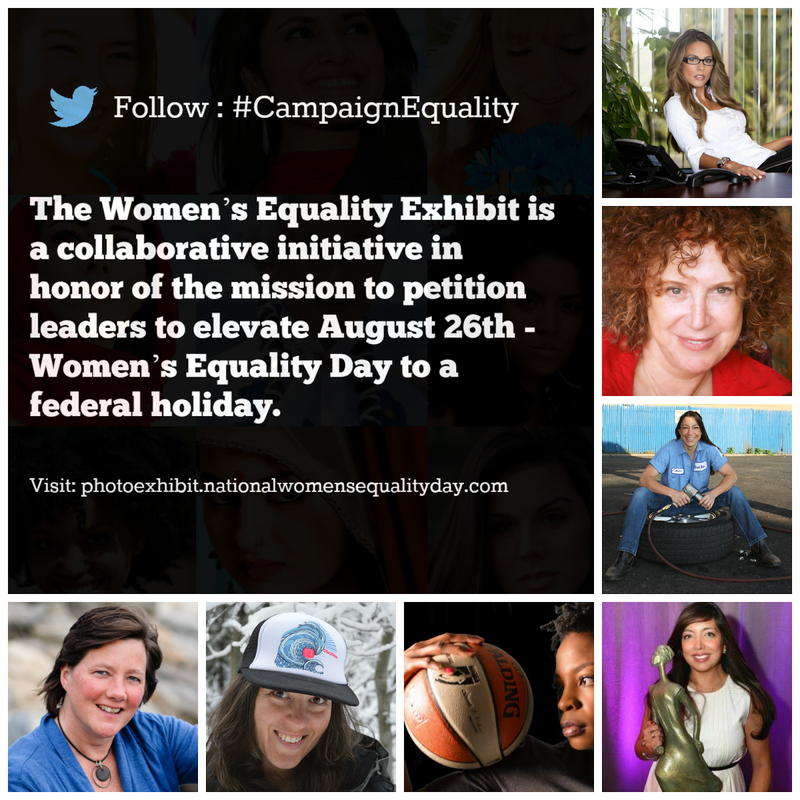 We are launching the first of its kind, the Women's Equality Exhibit to promote under recognized women change-makers from different cultural backgrounds. This national exhibit, is an expansion of our interview series and a proposed educational exposition on contemporary women who are making historic achievements. Also, it is a collaborative initiative in honor of Women For Action’s mission to petition leaders to elevate the national holiday, August 26th - Women’s Equality Day to a federal holiday which has received signature support from women’s organizations across the country. The exhibit's launch on August 26th, Women's Equality Day, will feature 15 close to life-size (48 x 32) portraits of 21st-century women leaders, along with their bios and interviews. With a mission to promote diversity and inclusion, the project selects women who reflect today's American population, which is a representation of the entire world! It works against stereotypes and discrimination by promoting a diverse pool of women in leadership which could put women and girls at a social and political advantage. By increasing the numbers of our heroines and elevating their roles to emphasize the impact they are making, expands the pathways for women and girls. Noting these women’s achievements sets the tone for prioritizing contributions made by women. Jen Gurecki, CEO of Coalition Snow, an innovative supplier of ski equipment for competitive women skiers. The objective is to spotlight women of significance who are a part of the American story- on our timeline, making history. We want to sound the bullhorn on new and amazing stories of women with a conscious effort to promote diversity and inclusion. These trailblazers present new working models for 21st-century young women and girls especially as our society bolsters a future for equality! Contributions made towards this exhibit builds a partnership between you and Women For Action to initiate a process which enables women’s voices to be heard, and society to be informed about more women who are reshaping our culture. 60% towards the materials to build exhibit- This would include materials needed for 15 stations centered around each heroine, technical equipment and rental space for the facility holding the exhibit. Young women and girls who attend will take home a copy of our limited edition magazine which includes special messages addressed to them by the heroines of this exhibit, accompanied by watercolor drawings. It's such a unique collectible magazine with a mission to inspire and empower young people. On the cover is a watercolor drawing of "Diversity", a representation of every girl within the universe. She's unique, special and instrumental to the quality of life. At the center, is the symbol artwork for this exhibit disclosed in this file called “Windows of Opportunity”. It is a 16”x 20” watercolor painting centered around women’s equality as well as diversity and inclusion, hand-painted by the Executive Director of Women For Action, Julene Allen. There are six women from different backgrounds in a window bordered with gold leaf enamel. In the background, the sun is setting, an ancient symbol for the masculine, which eludes to the idea that a special opportunity is available with the alliance of all sisters in the movement, to crossover and make a leap for equality. Live solo performances from local women artists will be featured during key dates and times during the exhibit. We really want to extend the mission of inclusion to local women of talent! Click here to Sponsor It!